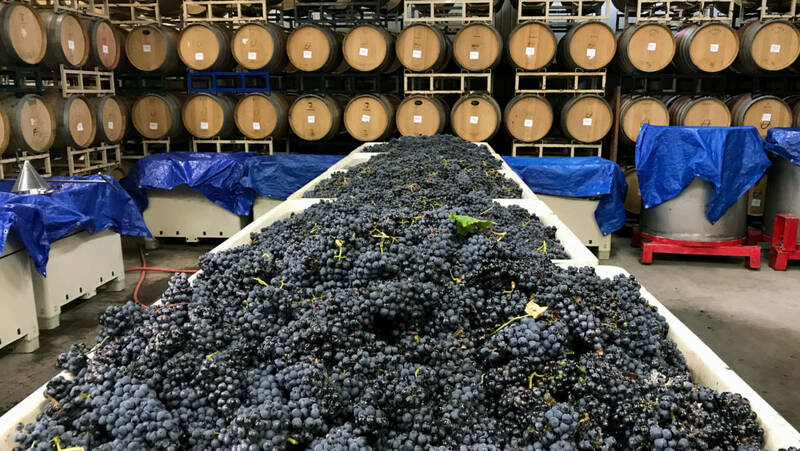 We began harvesting the Orfila Ranch on August 1st, and over the weeks picked, crushed, and fermented 120 tons of fruit from our vineyards. 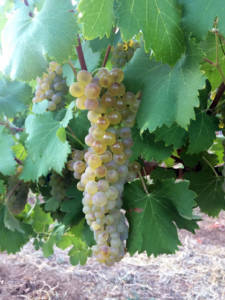 Record high heat pushed our team through a fast harvest, as we hustled to pick the grapes through August and September. 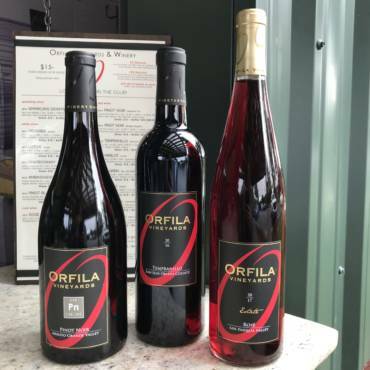 We supplemented the Orfila harvest with an additional 185 tons of fruit, bringing the total crush to 305 tons. Our harvest officially ended October 25th, with the last lot of purchased fruit, a Pinot Blanc, trucked to our crush pad, processed, and stored in our barrel room. Our Winemaker, Justin Mund, reported that he is pleased with the quality of the fruit, and satisfied with another successful harvest. Some new varietals were included in the mix such as Mourvèdre, Carignan, Grenache and Barbera. These new additions are blending grapes, giving Justin the ability to add more variety and choice to the tasting room menu. This year he will be making a true GSM blend (Grenache, Syrah, and Mourvèdre). Another wine in production is our popular Sparkling Dionysus, made with Muscat Canelli and Orange Muscat Canelli, a clear favorite with our visitors. The barrel space will be expanding to accommodate the great 2017 harvest, which will, in turn, create a more intimate tasting room. Just as there is a life cycle in the vineyard, there is an ever-changing expansion and contraction between the barrel room, and tasting room, a sign of the living and breathing process of making and selling of wine.